figure standing in the top corner .... that is actor Andrew Keir who played Sir William Alexander Smith for the documentary. The Boys' Brigade Glasgow Battalion Brass band seen seated on the park provided the music. I was there that day in the Govan Stand. Anyone have any information on this 1983 event? 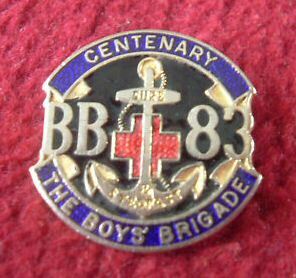 I was an officer in the 70th Glasgow- the old Southern District. OiC at 163rd Glasgow (Ibrox Church). 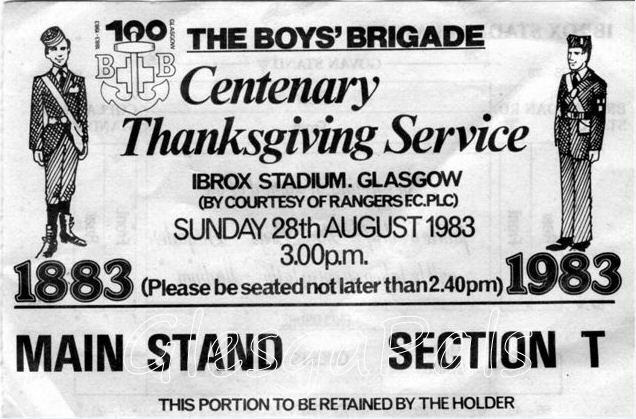 Great to see the Centenary Photo of the service at Ibrox in '83.